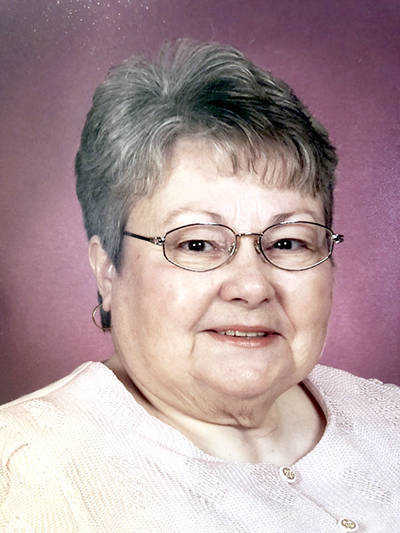 Martha Gean Crump, 82, of Paragould, passed away Friday at St. Bernards Medical Center in Jonesboro. She was the daughter of the late Ernest B. and "Cricket" Marie Green Byrd. Martha was a member of West View Baptist Church. In her free time, she enjoyed cooking, baking, sewing, and quilting. She is also preceded in death by her sister, Barbara Betts. Survivors include her husband of 59 years, David L. Crump, of the home; children, David L. (Susan) Crump, Jr., of O'Fallon, Ill., and Jamie L. (Thomas) Carter, of Paragould; grandchildren, Jeremy Carter and Kyle Crump; great-grandchildren, Kyle Howard, Aidan Howard, and Arin Crump; and siblings, John (Rhonda) Byrd, Tonya Haile, Cora Lee Bryant, Robert (Janice) Byrd, Roy (Virginia) Byrd, Rebecca (Archie) Lanier, and Linda Byrd. Visitation will be from 5-7 p.m. Thursday at Heath Funeral Home. The funeral service will be 1 p.m. Friday at West View Baptist Church with Dr. Marc Reeves officiating. Burial will follow at Greene County Memorial Gardens. Send memorials to West View Baptist Church in lieu of flowers.